Madd has been getting great success with her new release British Racing Green. 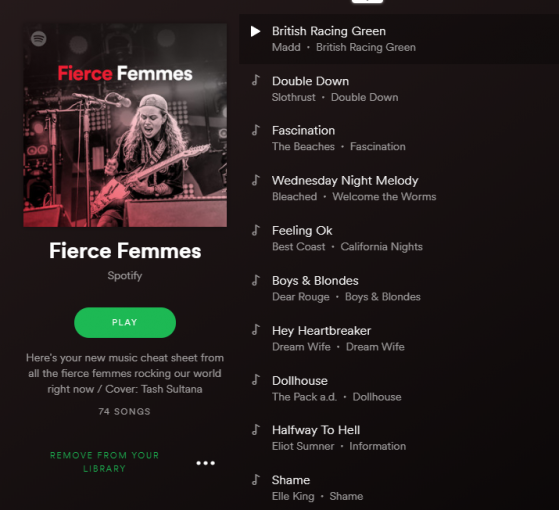 Madd has been given the top spot for her debut on the Spotify curated playlist “Fierce Femmes” which recognized the Lady’s of Rock! 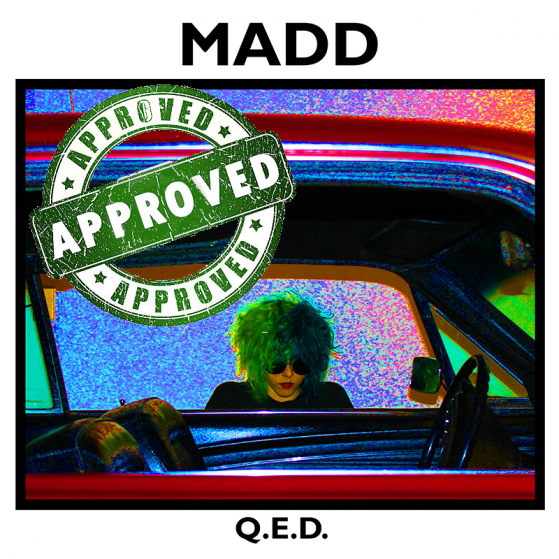 But that was not the only playlist Spotify added Madd’s new release to. She is also on the “All New Rock” and “New Noise” Play lists. Get Madd’s latest album on CD at a discount! You will hear influences from Jack White, Little Richard, Prince and the Beatles but with a Madd twist. 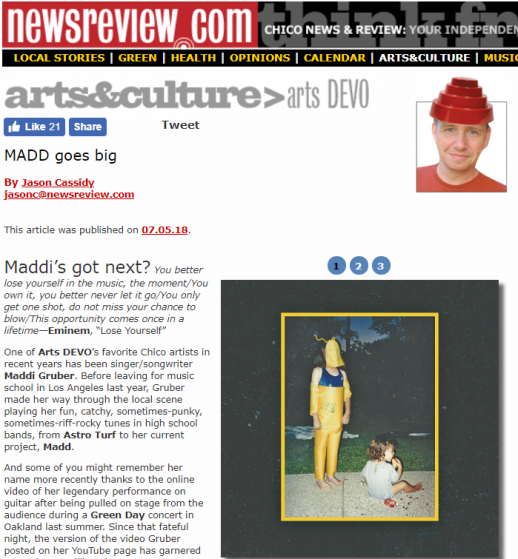 Jason Cassidy of the Chico News & Review, A fan of Madd from her start has some nice words about her new album release. 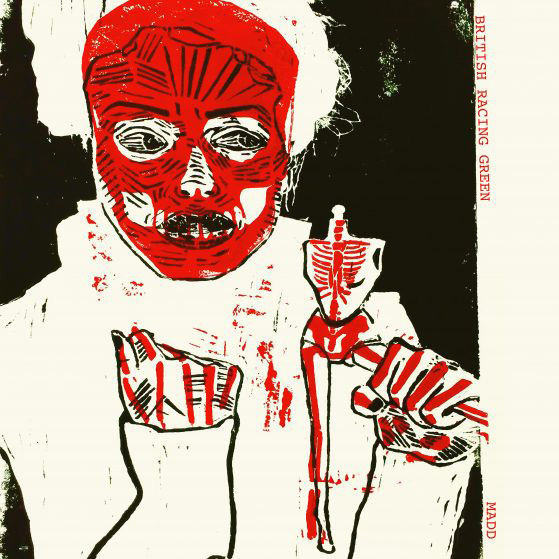 Madd’s first music critics review. 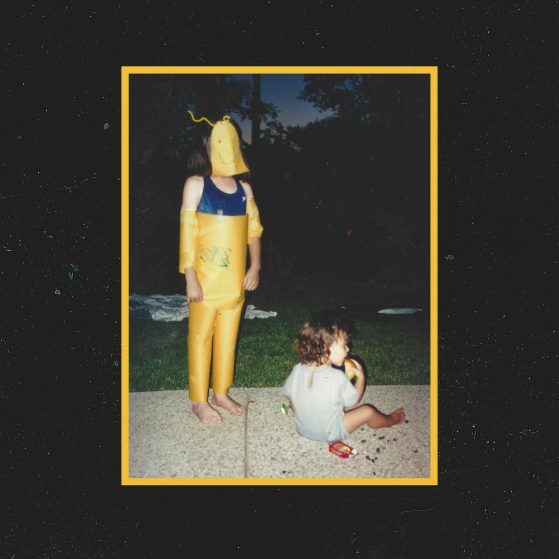 has to be one of the most eclectic albums you will find doing the rounds today, not only taking in a range of different styles and genres but cross hatching and gene splicing a few of its own along the way.